You’re a certified succulent plant lover. It’s Saturday morning. 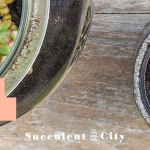 You’re taking a stroll around your mini succulent garden or throwing a glance at your succulent collection in your apartment. You notice something odd about your succulents. 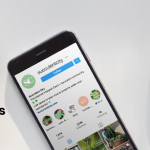 They seem nothing like what you see on Instagram that made you fall in love with succulents. That Mexican rose that is supposed to grow short, compact and close-knitting rosettes is elongated and scrawny with wide spaces between the leaves. The oh-so-lovely sedeveria letizia you were planning to “wow” everyone with appears leggy, bent on one side and has turned pale. At this point, you’re tempted to ask the classic question. If you can relate, then your plants are suffering from insufficient light. 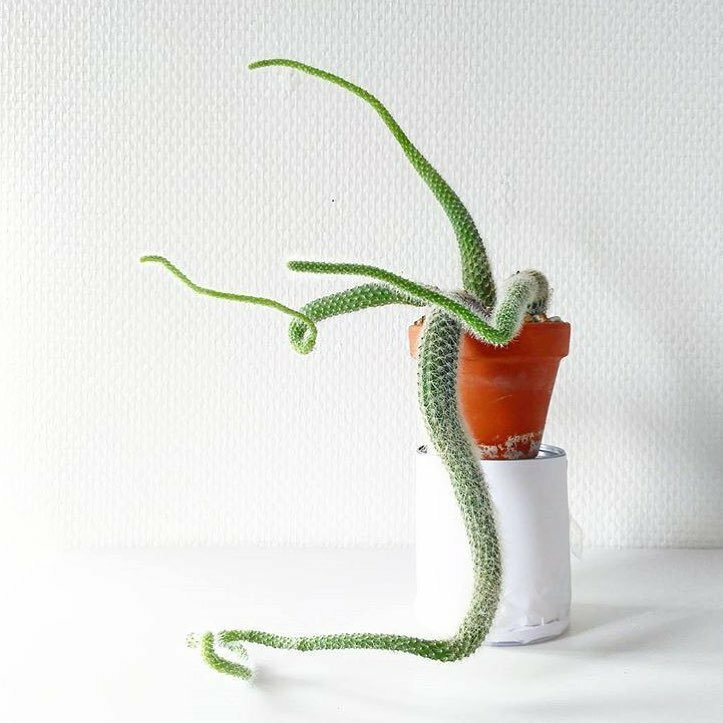 This is the last thing every succulent lover wants to bump into as it robs a beautiful succulents aesthetic value. A succulent exuding such morphological characteristics is said to be etiolated or undergoing etiolation. In layman’s terms, etiolation is a pathological condition exhibited by plants grown in insufficient light characterized by pale color and stretched or bent stature. Etiolation not only occurs in succulents, but also in other numerous major plant groups. It’s a natural response mechanism by the plant to sunlight deprivation. These unfavorable conditions force the plant to respond by rapidly growing in a direction where it perceives to have maximum light. This results to the stretched and bent morphology exuded by etiolated plants. The plants appear weak and pale since they spend a lot of energy trying to grow towards the direction of light than they’d normally do. Etiolation is most prevalent in indoor plants. 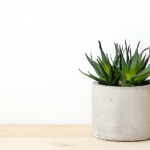 This is due to the fact that most indoor spaces are poorly lit for some light-loving succulent species. It also occurs in gardens and outdoor plants if they’re grown under a shade or blocked from the sunlight for too long. While etiolation is mostly accidental due to insufficient light, it can be manipulated to produce certain varieties of plants. For example, farmers grow white Celery and white Asparagus with absolutely no light to result in white stalks and spears. These are expensive and even considered more delicious than their green counterparts. With etiolated succulents however, no upside is evident – only deformed, goofy-looking plants, quite the opposite of what they’re meant to be. Why are my succulents etiolated? Again, etiolation is caused by insufficient light. Such plants adjust their growth mechanism in order to reach as much light as possible. Sunlight is very important to plants for photosynthesis. This is just a fancy term for the process in which plants make their own food by converting sunlight to energy. This food is used in the growth and development of the plant’s roots, leaves, stems and flowers. The plant’s entire cycle is dependent on this food. In fact, biologically speaking, all life on earth is dependent on Photosynthesis. Quite a statement, right? Nothing could be closer to the truth. Green plants are consumed by herbivores which are later eaten by man and carnivores. This entire food chain is anchored on sunlight as its foundation. In a nutshell, if plants are grown in low-light conditions, they will stretch, curve or do whatever they can to reach light so that they can make food and survive. In other words, plants not only depend on light for growth but for survival as well. How do I know if my succulent is etiolated? Your succulent will let you know when you are depriving it of sunlight. However, as much as etiolation may be common, it is of great importance to differentiate etiolated plants from healthy growing ones. Some succulent varieties will exhibit rapid growth. These vigorous, healthy succulents also have tall stems and are sometimes mistaken for etiolated plants. For the sake of clarity, check out these 4 signs to detect hints of etiolation in your plants. Rosette forming succulents such as Echeverias and Sempervivums are recognized for their fleshy and upright leaves that grow in tufts. However, when they’re deprived of light, these leaves begin to droop and eventually point downwards. This serves as the earliest sign that etiolation is kicking in. This phenomenon of leaves pointing downwards is the plant’s adaptation to get access to more light for photosynthesis by increasing each individual leaf’s surface area. Such drooping is not permanent and can be corrected by exposing the plant to abundant sunlight. The recommended dosage of sunlight for most sun-loving succulents is a minimum of four hours per day. 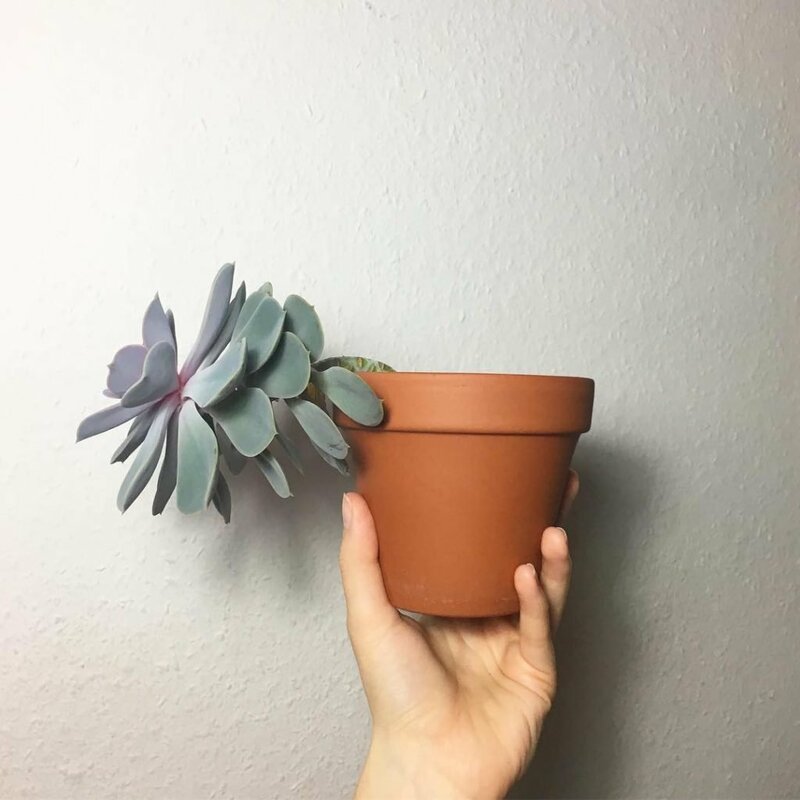 While a normal, healthy plant will grow vertically, light-starved succulents usually appear curved, growing towards the direction where more light seems to be. This is also an adaptation or mechanism for the plant to get enough light for photosynthesis. This results in weak, gangly-looking succulents. If the etiolated plant is not moved into sufficient light, the tall growth leaning on the side will eventually lead to the stem breaking. In the wild, this stretching to the point of breaking is another adaptation. Once the stem breaks off, it starts sprouting new roots and grows normally under enough light. If you want to take a precautionary measure so that your succulent does not break, tie some string with these bamboo stakes for support. Most succulents are known to be slow growing. However, when starved of light, they tend to exhibit rapid, longitudinal growth to reach the light source quickly. They invest all their energy into growing towards the direction of light and thus grow at a quicker rate than usual. This rushed growth leads to an elongated stem having few leaves that are widely spaced. The explanation for this is that the new leaves can’t catch up with the rate at which the stem is growing and thus only a few leaves are formed. This is also a survival antic since an elongated stem provides more space for light to penetrate the leaves so that photosynthesis can take place. The vibrant green color in plants is as a result of a substance known as chlorophyll. The formation of chlorophyll in plants depends on the amount of light the plant is exposed to. Etiolated plants are deprived of light which means little chlorophyll formation and this leads to a pale green color. The plant also appears weak due to limited photosynthesis. Well, how about some bad news? It’s literally impossible to fix an etiolated succulent. 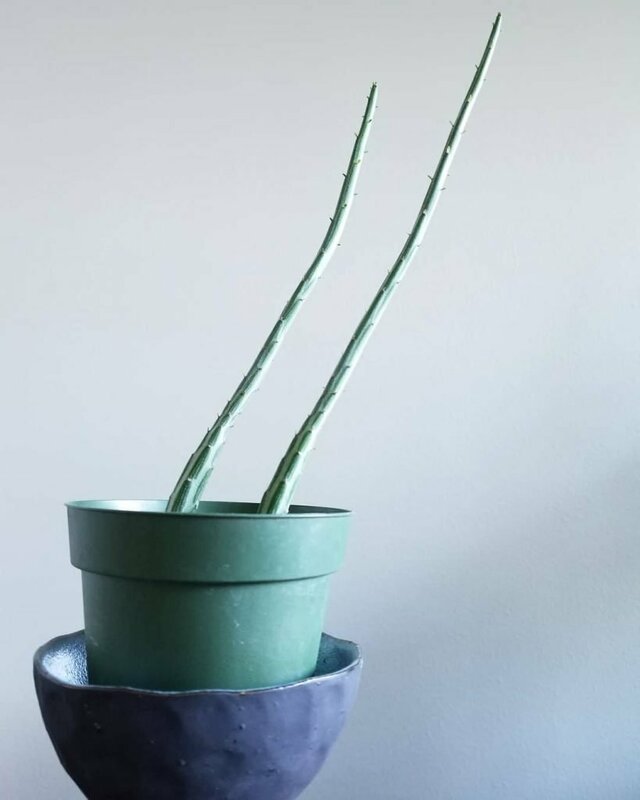 Once the succulent has become leggy, thin and stretched, it can never recover. However, as stated earlier, if you detect signs of etiolation early enough before the plant starts stretching, then it can be salvaged. But if you want to reshape your etiolated succulent to its former beautiful stature – you’re out of luck unfortunately. 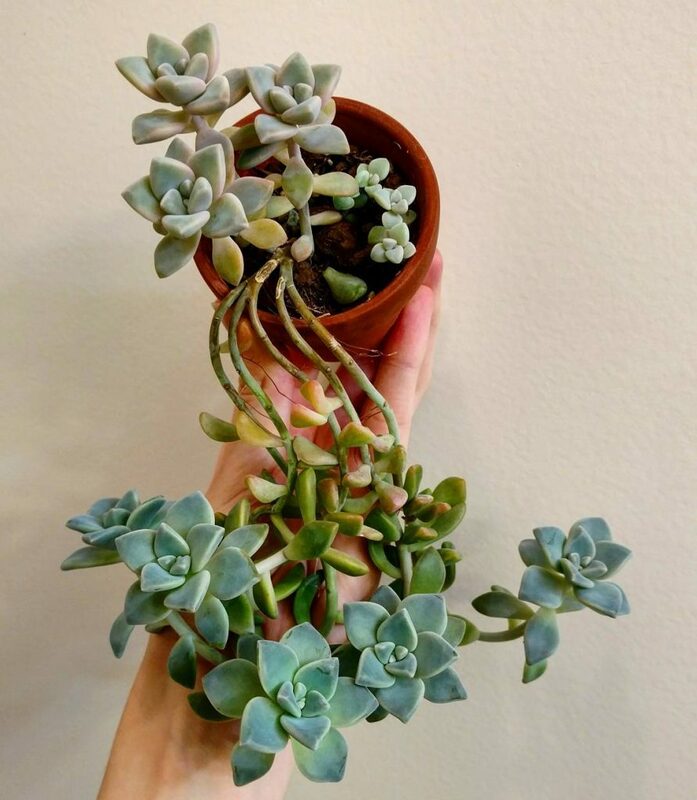 Good thing is, you can always propagate the etiolated succulent and end up with more plants! This can easily be done through beheading. Succulents such as Echeverias can be propagated through beheading. For others, plucking the healthy leaves and propagating them may be appropriate. 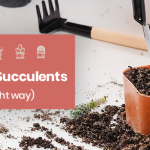 Read more on how you can behead succulents here. Beheading etiolated succulents results in more plants because both cuts are replanted. Simply leave an inch or two from the crown and make a neat cut using a sharp, sterilized knife or scissors. Leave the cuttings to dry for a day or two. Plant the beheaded crown in a separate pot containing well-draining soil. Ensure the soil is slightly moist for rooting to occur. Chop off any curved parts on the stump and replant it with new soil too. After a few weeks, the stump will start producing baby plants and the crown will be fully established and rooted. Read more on how you can properly propagate succulents if you want an in depth guide. Etiolation can be quite a headache when growing succulents indoors. However, there are various ways to avoid it. Move your plants to a spot that receives more direct sunlight. If growing indoors, a large uncovered window facing south-wards would be a perfect location. Aim for a minimum of 4 hours of direct sunlight per day. If you’re an outdoor hero, be sure to set your plants where they’ll receive full sun without being obstructed. Be careful not to overdo it. These artificial light resources help in the growth of indoor plants by providing photosynthesis-specific wavelengths. This ensures that the plant carries on with photosynthesis. A grow lamp would be of significant help if you live in areas with a lot of cloudy days, long winters or short daytimes. Be sure to locate the grow lamp vertically above your plant to ensure the plant grows straight. Sometimes, providing ideal growing conditions for a certain succulent may be quite a task, especially lighting. Growing other succulents with low-light requirements can be a good option. Visit Succulents Box if you want new succulents monthly. 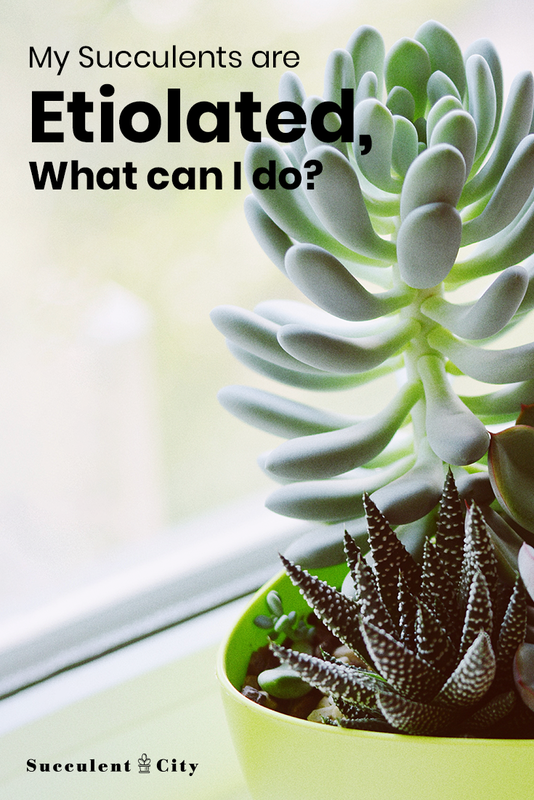 What types of succulents are less prone to etiolation? Though etiolation can occur in any succulent, some species are more susceptible to it than others. 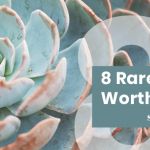 This is especially true for succulents that are rosette forming with well-developed stems. The following genera of succulents are most susceptible to etiolation. Now that you know what causes your succulent plant to reach for the skies… what will you do to prevent this and keep your succulents healthy? Let us know if this has helped you in any way we’d love to hear how your succulents are growing!